Meth is a strong Central Nervous System (CNS) stimulant that immediately induces a powerful feeling of alertness, energy, and euphoria that can last several hours. Since meth produces a sense of euphoria in the user, this drug can become highly addictive and usually requires help from a treatment center to get off the drug. Almost any substance that involves inducing pleasure can cause someone to become dependent on that substance. 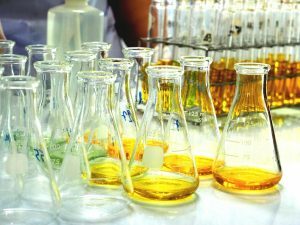 People cook their own meth in what’s commonly called meth labs, but many do not realize how toxic the fumes from these labs alone can be to the body. These are just a few of the toxic chemicals used to produce meth, but the end result of mixing them together looks harmless enough to get people started on this drug. If you are one of those people, please consider seeking help at a local drug rehab center. Meth is cooked in meth labs, which are often found by the Federal Drug Administration (FDA) in rental homes, apartments, camping sites, storage sheds, RVs, and people’s basements. People can use all sorts of things to construct a meth lab like plastic tubing, coffee filters, lithium batteries, matchbooks, flares, and over the counter medications that contain pseudoephedrine. What you want to watch out for if you suspect a meth lab nearby, is strong odors coming from the site, windows that have been covered with curtains or newspapers, and an overall dirty, crowded appearance. The strongest odors will likely come from the ammonia, lithium battery acid, starter fluid, and the smell of something burning. A big sign of a meth lab is a strangely colored smoke coming from the suspected site. Some people may trap the smoke from the cook in their lab and others may use filters, but some will not take these measures and you will probably be able to see smoke leaking from their windows. Meth labs are often set up by people who are not trained professionals. Many people who use meth labs learn how to cook from meth users, other cooks, drug dealers, and online. The training for setting up meth labs is not standardized and left up to the person on what chemicals, materials, and safer precautions that want to use when cooking. If the exposure to these chemicals is long enough, death may result. There have been several cases in which cooks were rushed to the emergency room because they failed to take proper safety measures when dealing with chemicals like hydrochloric acid which can literally burn someone’s skin off. Many are then taken to drug rehab as an involuntary inpatient. Cooks and users are not the only ones negatively affected by toxic chemical exposure, but people living next to the meth lab or anyone who gets close to a meth waste dump can also be affected. The symptoms of this kind of exposure are similar to what cooks experience, but long term exposure can result in serious life-altering effects like cancer, brain damage, liver and kidney damage, birth defects, and reproductive problems. An astonishing seven pounds of waste can be produced for just one pound of crystal meth and this amount of waste is often dumped in lakes, water streams, and the ground. Dumping meth waste in these areas can potentially contaminate drinking water for hundreds of people. The two main ways a toxic substance can enter the body are through breathing in the chemical and touching the chemical. Unfortunately, just cleaning an area of a meth lab or a house in which the meth was cooked in not good enough. Long term meth cooking gives the fumes and liquids from chemical spills ample time to soak into any furniture, kitchenware, silverware, carpet floors, and other household items. Even when these items are disposed of, the chemicals are strong enough to affect anyone who comes near the site of disposal. In the short term, meth use can cause insomnia, hallucinations, anxiety, weight loss, paranoia, nausea, and a dangerous level of aggression that may lead the user to harm others. Long term effects of meth use include hypertension, strokes from damaged blood vessels in the brain, heart failure, liver damage, kidney damage, and lung damage. In terms of physical appearance, tooth decay and early skin wrinkling are also signs that someone is a long term meth user. Withdrawal symptoms can be severe and require the assistance of drug rehab to avoid deadlier symptoms. If you stumble across a meth lab or strongly suspect a meth lab is nearby, please take precaution by avoiding the area. It is best to contact the police or FDA because they have the proper safety equipment to take down a meth lab. Even a brief exposure to one of these labs may negatively impact your health. At The Recover, we understand that meth addiction is not something that anyone wants to deal with. Regardless of the pleasure derived from addictive substances, once dependency sets in, the drug can feel like a prison. There are a variety of treatment programs out there with a wide range of treatments. Recovery from substance dependence is not a smooth transition to endure, but with support from others, you have a fighting chance. The Recover is an unbiased substance abuse and mental health news provider that helps people who are looking for the right treatment programs in their area. We also provide information on West Virginia centers for addiction recovery. If you are experiencing difficulties with controlling how much you drink, please feel free to contact us at (888) 510-3898 to talk to a treatment specialist who can help you find the right treatment program for your personal needs.